Nice heavy ceramic beer stein is great. 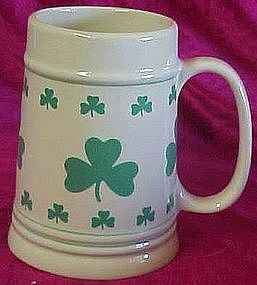 Measures 5 1/4" tall and is covered with lucky green shamrock's. Pristine condition. Nice roomy handle. A great gift for your Irish friend.